"ESPN (originally an acronym for Entertainment and Sports Programming Network) is a U.S.-based global cable and satellite television channel that is owned by ESPN Inc., a joint venture between The Walt Disney Company (which operates the network, through its 80% controlling ownership interest) and Hearst Corporation (which holds the remaining 20% interest). The channel focuses on sports-related programming including live and recorded event telecasts, sports news and talk shows, and other original programming. Those vulnerabilities are very dangerous. 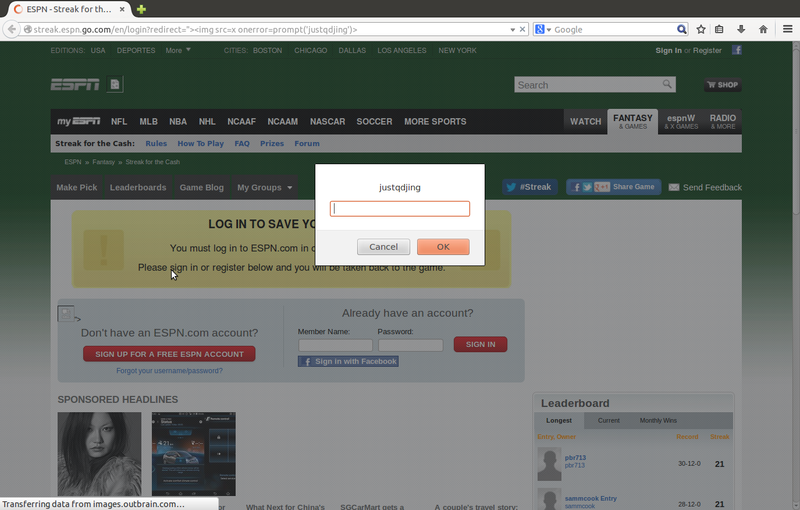 Since they happen at ESPN's "login" & "register" pages that are credible. 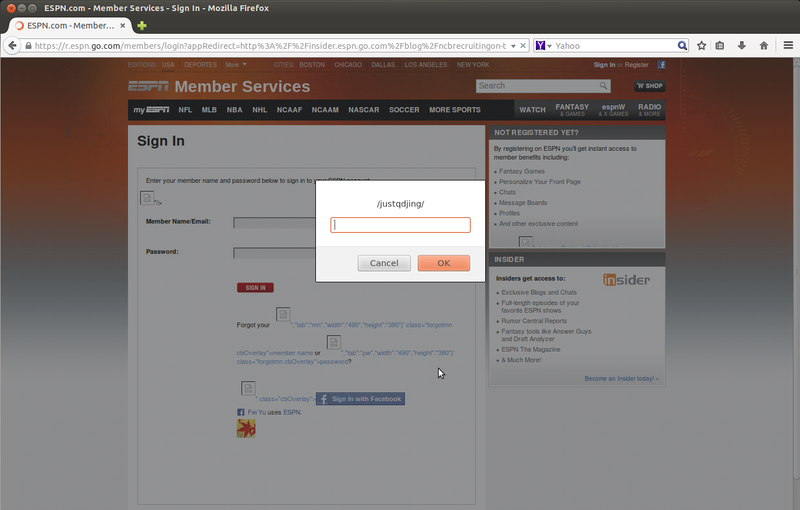 Attackers can abuse those links to mislead ESPN's users. The success rate of attacks may be high. During the tests, besides the links given above, large number of ESPN's links are vulnerable to those attacks. 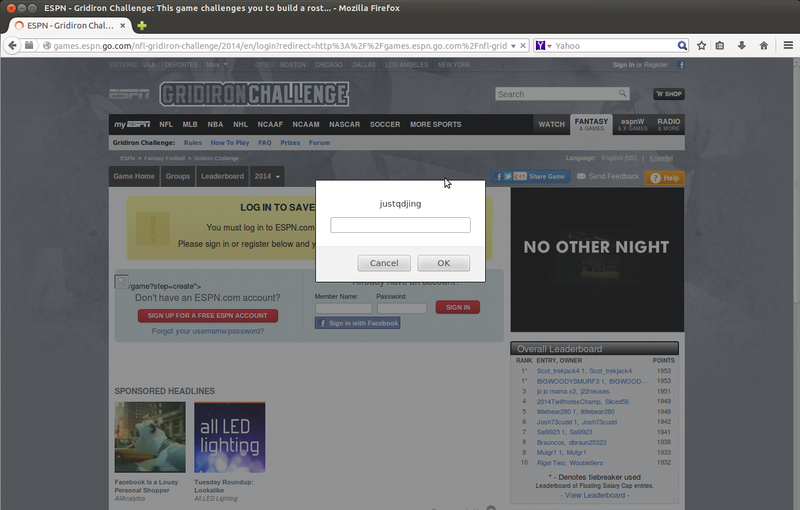 The programming code flaw occurs at "espn.go.com"'s "login?" & "register" pages with "redirect" parameter, i.e. "The Full Disclosure mailing list is a public forum for detailed discussion of vulnerabilities and exploitation techniques, as well as tools, papers, news, and events of interest to the community. FD differs from other security lists in its open nature and support for researchers' right to decide how to disclose their own discovered bugs. The full disclosure movement has been credited with forcing vendors to better secure their products and to publicly acknowledge and fix flaws rather than hide them. Vendor legal intimidation and censorship attempts are not tolerated here!" A great many of the fllowing web securities have been published here, Injection, Broken Authentication and Session Management, Cross-Site Scripting (XSS), Insecure Direct Object References, Security Misconfiguration, Sensitive Data Exposure, Missing Function Level Access Control, Cross-Site Request Forgery (CSRF), Using Components with Known Vulnerabilities, Unvalidated Redirects and Forwards. It also publishes suggestions, advisories, solutions details related to XSS and Open Redirect vulnerabilities and cyber intelligence recommendations. Use one of webpages for the following tests. The webpage address is "https://computerpitch.wordpress.com/". 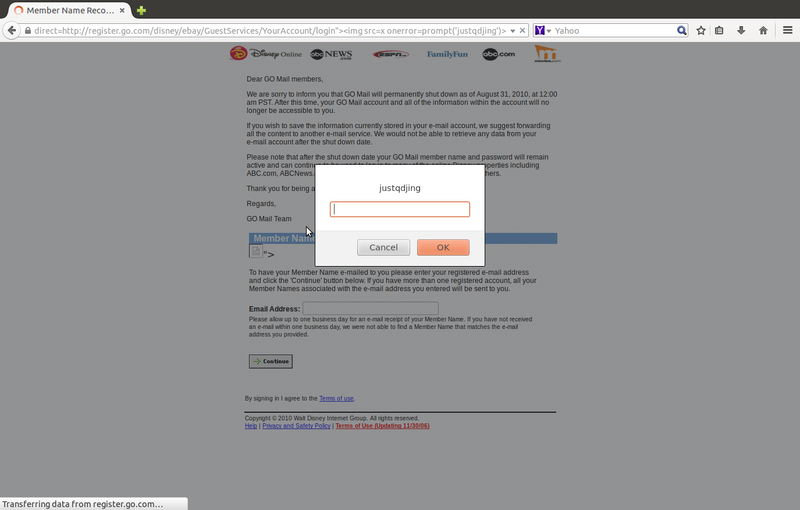 Suppose that this webpage is malicious.